If you're serious about food dehydrating, don't waste your money on lesser models, you'll end up buying an Excalibur food dehydrator anyway! Choose from our selection of Excalibur 9 tray dehydrators, 10 tray dehydrators and more. HarvestEssentials.com is an Authorized Dealer of Excalibur dehydrators. Excalibur®, Parallex®, and Paraflexx® are registered trademarks of Excalibur Inc. and are used with permission. Browse our selection of Excalibur food dehydrators for sale below! Top of the line Excalibur dehydrator. High capacity, 10 year warranty with upgraded parts. 9 trays (15" x 15"). Ideal size for large families, large gardens, craftspeople, and sportsmen. LIMITED TIME OFFER on the Excalibur 3900! Top of the line Excalibur dehydrator with 26 HOUR TIMER. High capacity, 10 year warranty with upgraded parts. 9 trays (15" x 15"). Ideal for large families, craftspeople, large gardens, and sportsmen. Top of the line Excalibur dehydrator. Medium capacity and 10 year warranty with upgraded parts. 5 trays (15" x 15"). Great for smaller families and gardens. LIMITED TIME OFFER on the Excalibur 3500! Top of the line Excalibur dehydrator with 26 HOUR TIMER. Medium capacity and 10 year warranty with upgraded parts. 5 trays (15" x 15"). Great for smaller families and gardens. High capacity Excalibur dehydrator with 5 year warranty and standard parts. 9 trays (15" x 15"). Perfect size for large families, large gardens, craftspeople and sportsmen. Small capacity Excalibur dehydrator with 5 year warranty and standard parts. 4 trays (11" x 11"). Great for individuals and couples with light dehydration needs. 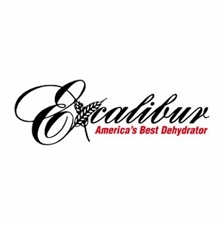 Excalibur dehydrators are top of their class. I have had three different Excalibur dehydrators in the past, and when I moved across the country I gave away my 9 tray dehydrators to my friend who used them daily for 5 years. When I finally settled in at my new, small home, I decided it was time for a new dehydrator. Of course I chose an Excalibur, but when with the 5 tray 3500, and I am very happy with it, I would recommend Excalibur dehydrators to anyone! They are high quality and last for a long time! Plus, Harveat Essentials is great to do business with, they shipped fast and my package arrived intact.